We got a room on the back of the house without the view but it was clean, cozy and quiet, with comfortable bed and small kitchenette with all equipment needed. Nice and helpful host. The place is in a quite and remote area, and though on the hill it is well connected to the Lovran, if you do not have a car there is a bus. But to explore around one need either car or bicycle. Views from the apartments and terrace are exceptional. There is Učka national park close to there, and towns Opatija and Rijeka. Few good beaches around Lovran. Loved the peaceful location. Short drive from all the attractions. Nice apartment on top floor with balcony and great sea view. Very friendly owner Marco. Lovran is a lovely little town. Coming up by car is quite a steep winding road, follow Marco's directions. Quiet place with nice atmosphere, perfect location above the town with nice view. Not good for people like me who use public transport, as waiting for the public transport is like wasting your time, specially when you are on vacation. View from the place was very good. The owner was very nice. The balcony view is fascinating! Apartment is fully equipped. Silent location. Accettati gli animali, naturalmente rispettando le regole di pulizia e silenzio. Il Sig. Marko molto gentile e disponibile. 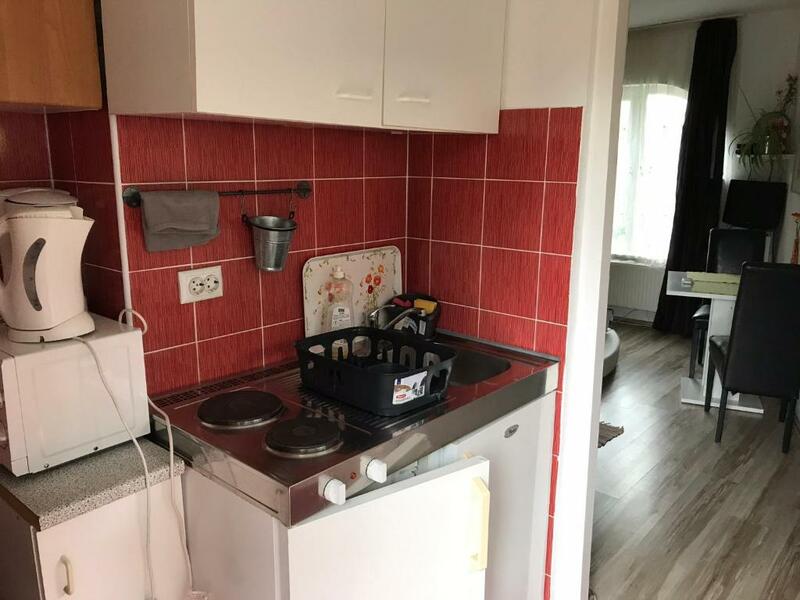 Apartament mieści się na wzgórzu, piękne okolice. Do dyspozycji był taras z miejscem przeznaczonym do grillowania. Pokoje czyste i zadbane, aneks kuchenny niewielki ale wyposażony we wszystko co potrzeba. Gospodarz bardzo miły, chętnie służył pomocą, doradzał gdzie się wybrać, co pozwiedzać. Wymeldowanie przebiegło bez problemu. Dobry apartament w korzystnej cenie, polecam. Lock in a great price for Apartments Kestenovi Dvori – rated 8.6 by recent guests! 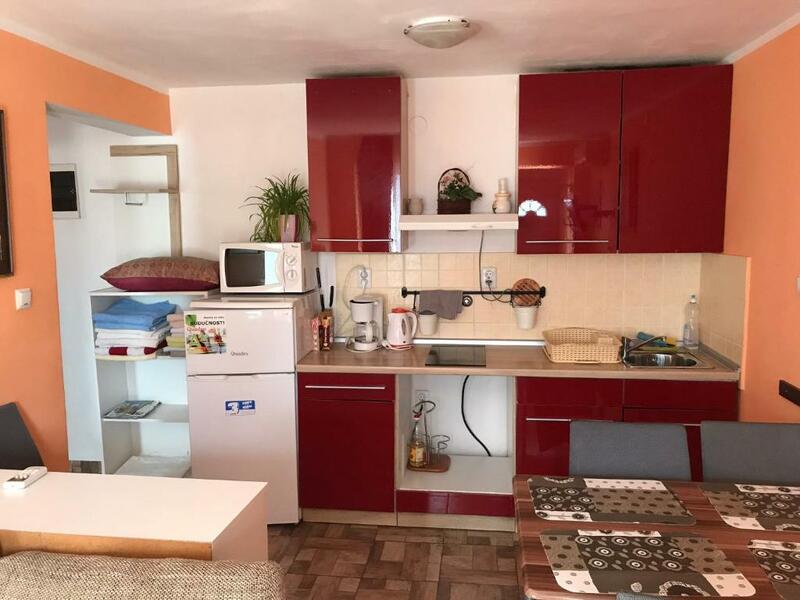 Apartments Kestenovi Dvori This rating is a reflection of how the property compares to the industry standard when it comes to price, facilities and services available. It's based on a self-evaluation by the property. Use this rating to help choose your stay! One of our best sellers in Lovran! Located in Oprić, a quiet and peaceful village near Opatija, Apartments Kestenovi Dvori is surrounded by old Croatian chestnut trees. A garden with a common barbecue is available for all guests, as well as free Wi-Fi. All apartments are air-conditioned and fully equipped. All apartments also feature a private bathroom with shower and an equipped kitchenette with a dining area. Satellite TV, a microwave and a sofa bed that sleeps one additional person are available in each. Three common furnished terraces are available for all guests. The house is built from old Croatian stone and offers an authentic historical feel while providing all modern amenities. Guests can park for free directly on site. Sandy, pebbly and rocky beaches can be found 1.6 mi from Kestenovi Dvori Apartments. Lovranska Draga Waterfall is 4.3 mi away, while Nature Park Učka can be reached in just 0.6 mi. A 6.2 miles long lungomare promenade stretches from Lovran to Opatija and starts 1.2 mi from the apartments. Tennis courts, diving and wellness center can all be reached within 1.2 mi. Horseback riding school Ranch Bubach is 9.3 mi away. A grocery shop is 2,300 feet away, while a restaurant is 1.2 mi away. The center of Lovran is 1.2 mi from the Kestenovi Dvori, while Opatija can be reached in 4.3 mi. Local bus stop is 650 feet from the Dvori, while Bus and Railway Stations are in Rijeka, 12 mi away. Rijeka Airport is on Krk Island, 12 mi from the apartments. When would you like to stay at Apartments Kestenovi Dvori? Air-conditioned apartment featuring a bathroom with shower and a fully equipped kitchenette with a dining area. Satellite TV, a microwave and a sofa bed that sleeps two additional people are available. The terrace features a view of the sea or the garden. Air-conditioned apartment featuring a bathroom with shower and a fully equipped kitchenette with a dining area. Satellite TV and a microwave are available. The terrace features a view of the garden. 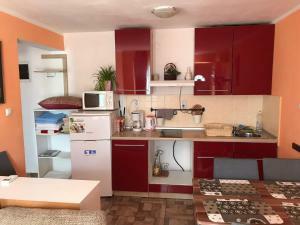 Air-conditioned apartment featuring a bathroom with shower and a fully equipped kitchen with a dining area. Satellite TV and a microwave are available. The terrace features a view of the sea or the garden. This lovely house with a spectacular sea view is situated in a quiet village near Opatija and just a stone’s throw from nature park Učka. The location is fantastic for those who enjoy nature, peace and quiet. Surrounded by plenty of greenery and located in a dead-end street, this vacation home will ensure you complete rest and relaxation. If you like greenery, freshness, peace and waking up with the birds chirping, then this house in Opric is the right place for you! We are a Belgian couple that likes sun and sea and came to love Croatia. So we decided to move to the Adriatic coast. We look forward to meeting people from all over the world and we invite you to be our guests in this peaceful place in the middle of nature, fresh air and unforgettable views. You are all welcome here and we will try to make your stay as enjoyable as possible. The neighborhood is nice, peaceful, and safe. This ideal location provides various excursions in Istria: the islands of Krk, Cres, city of Venice and Trieste which can be reached in just a few hours. For full enjoyment of your holiday, there is also a spacious common garden and grill terrace with magnificent views of Kvarner bay. For the kids there is a playground. House Rules Apartments Kestenovi Dvori takes special requests – add in the next step! Apartments Kestenovi Dvori accepts these cards and reserves the right to temporarily hold an amount prior to arrival. Late check-in and check-out are possible only at a surcharge. Please inform Apartments Kestenovi Dvori of your expected arrival time in advance. You can use the Special Requests box when booking, or contact the property directly using the contact details in your confirmation. The sea is not close enough if your main purpose of stay is to enjoy seaside, but sea in Rijeka bay itself is not the best sea at the Adriatic sea. - Be aware of high cleaning fee - it may unpleasant surprise you. If you don't have a car not too accesible. The beach is far. We preferred a quiet place instead of staying near the beach where is also the main road, but we had a car. Poor wifi signal I think the price was too high.